Andre Greipel and double stage winners Dylan Groenewegen and Fernando Gaviria have become the latest sprinters to abandon the Tour de France. A day after Mark Cavendish and Marcel Kittel called off their campaigns, the trio followed suit as the race's gruelling mountain stages took their toll. Groenewegen, having won stages seven and eight, called it quits after falling too far back, before Greipel climbed off along with Lotto Soudal team-mate Marcel Sieberg. Gaviria, who claimed the first and fourth stages, continued for a few more kilometres but he too elected to end his race on stage 12, which takes riders up Alpe d'Huez. Peter Sagan is the leading sprinter remaining in the race. Le Tour loses another sprinter. 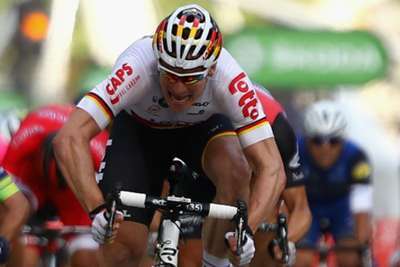 After Kittel, Cavendish and Groenewegen, now André Greipel gives up.